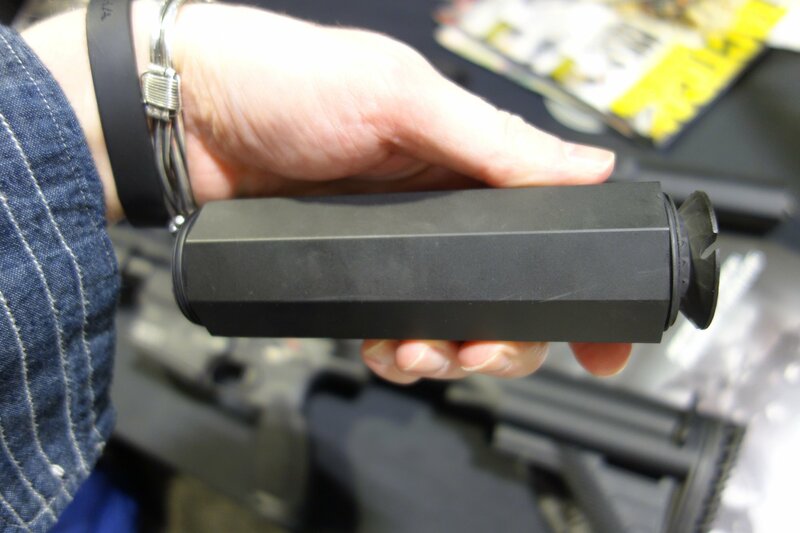 Operators Suppressor Systems/OSS Mission Muzzle Cans: Almost No Back Pressure Yields More Hits on Target and Longer Weapon Life | DefenseReview.com (DR): An online tactical technology and military defense technology magazine with particular focus on the latest and greatest tactical firearms news (tactical gun news), tactical gear news and tactical shooting news. That (title) pretty much sums up Operators Suppressor Systems’/OSS Mission’s whole raison d’etre and advantage over its competitors. 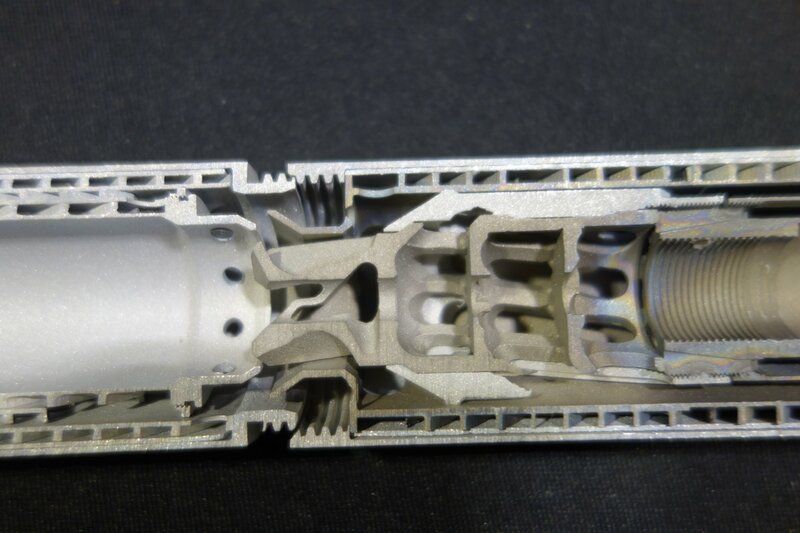 DefenseReview (DR) first wrote about the company’s products after seeing them at NDIA Joint Armaments Symposium 2012, when it was called Bravo 18. 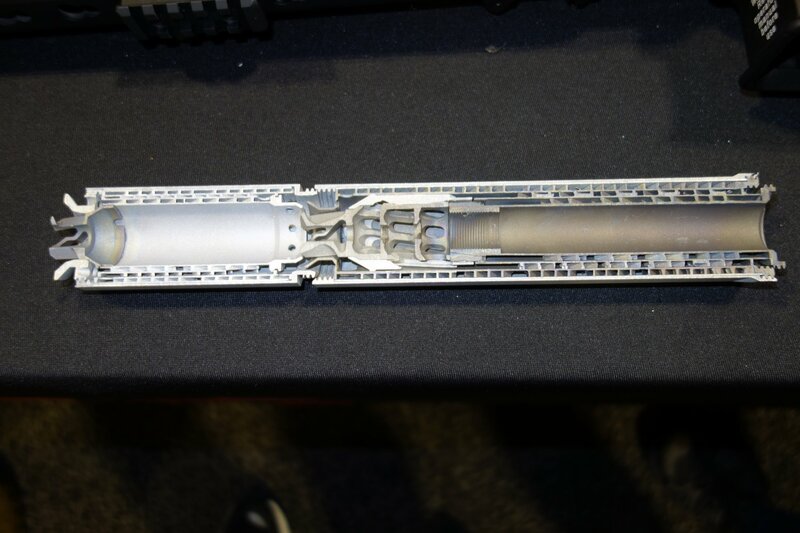 Those products were developmental/evolutionary precursors to the current crop of OSS cans (muzzle cans, i.e., silencers/sound suppressors), so they were less advanced design-wise, albeit still quite effective. 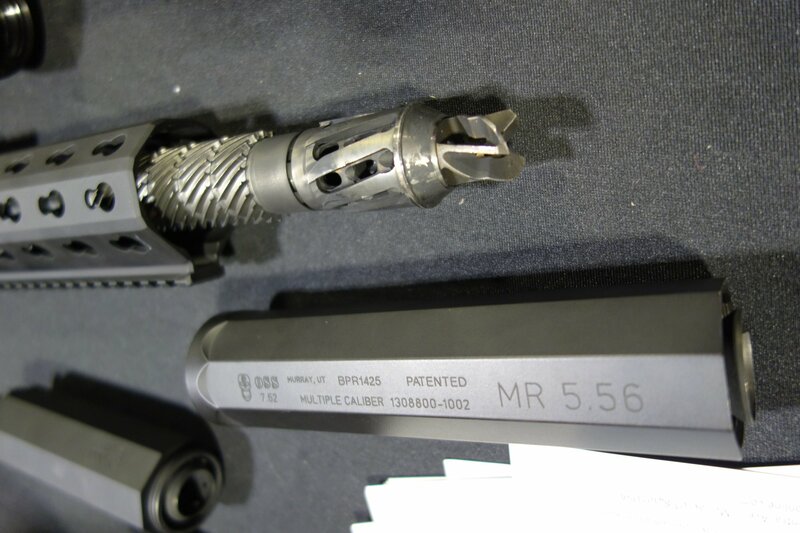 Anyway, DR ran into the company’s founder/CEO Russell “Russ” Oliver at the Heckler & Koch (HK) military and law enforcement products booth at the 2014 NDIA Special Operations Forces Industry Conference (SOFIC 2014), and he showed us his products, which were attached to MR556A1/HK416 A5 and MR762A1/HK417 A2 short-stroke gas piston/op-rod (push-type operating rod) tactical AR carbine/SBR’s (Short Barreled Rifles). We immediately liked Oliver, as he was friendly, and seemed like a pretty cool, laid-back guy. Better yet, he was willing to show DR the internal tech that makes OSS cans what they are. 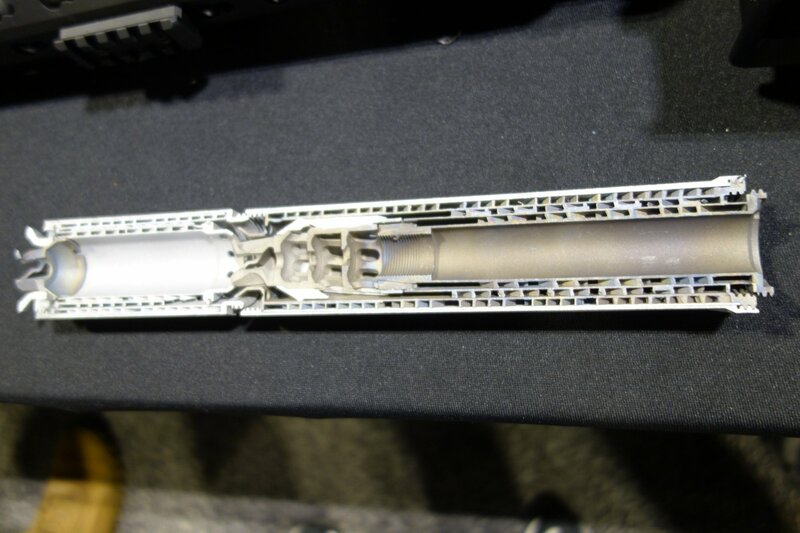 According to the company, OSS Mission suppressor systems, and they are systems in the truest sense of the word, create almost no back pressure. More specifically, the company claims their cans cut back pressure by about 95% over standard cans. Put another way–and this is the way Oliver puts it, the OSS Mission cans allow the gas to expand within 5% of its natural rate. So, they don’t require an adjustable gas tube on the weapons wearing them. This no-back-pressure aspect also results in higher reliability due to less operator error and negation of all reliability and durability problems that increased gas pressure (and heat) causes. They also make it easier for the assaulter/operator to shoot fast and accurately while under serious stress, like in dynamic CQB/CQC (Close Quarters Battle/Close Quarters Combat) gunfights, for example, because he no longer has excess gas and particulate matter from the chamber hitting him in the face and eyes, and impact shift is minimized to about .5 MOA (Minute Of Angle), says OSS. The company also claims the achievement of removing the normal mirage effect, which should facilitate medium and long-range shooting. 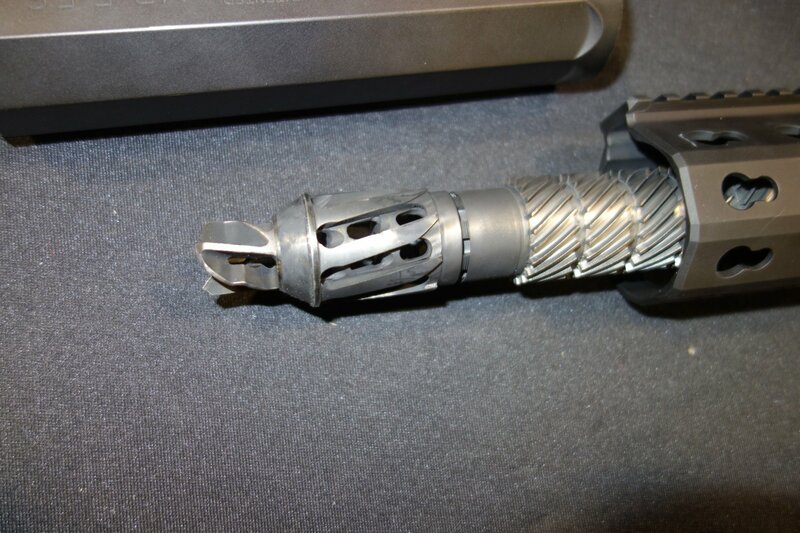 Part of this whole equation is the OSS FHMB (Flash Hider Muzzle Brake), which looks a bit unconventional, to say the least. Looking at it, and the jet-turbine-like pieces behind it, make me immediately think of the phrases “air vortex” and “rotational vortex”. 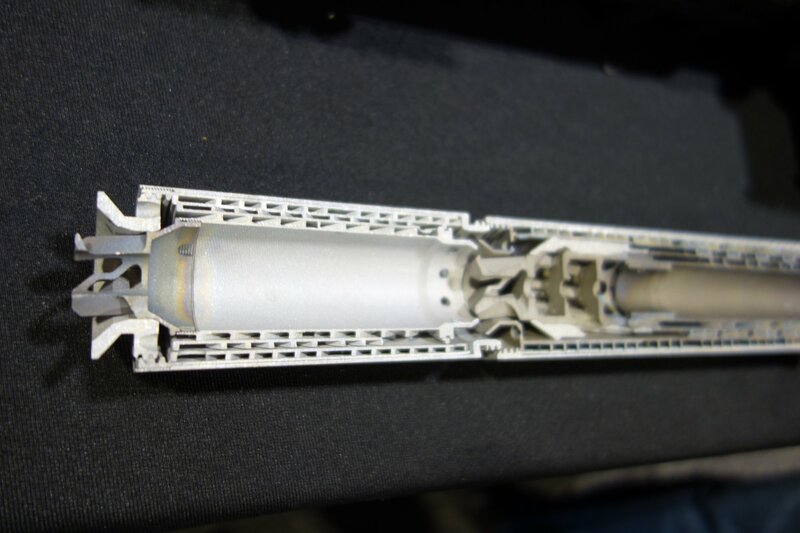 When the can is actually attached to a weapon, the self-tightening, multicaliber OSS BPR1 OTB/BPR2 FM (Back Pressure Regulator 1 Over the Barrel/Back Pressure Regulator 2 Flush Mount) hexagonal suppressor housing is the most visible aspect of the can, along with the OSS SRM (Signature Reduction Module), which is designed to handle the can’s visual signature suppression, along with a portion of the sound signature. All these components work in harmony to optimize sound and visual signature reduction and shooting performance under combat stress. Mr. Oliver told DR on the phone that sound reduction will usually be in the 138-142 db range, depending on suppressor length. 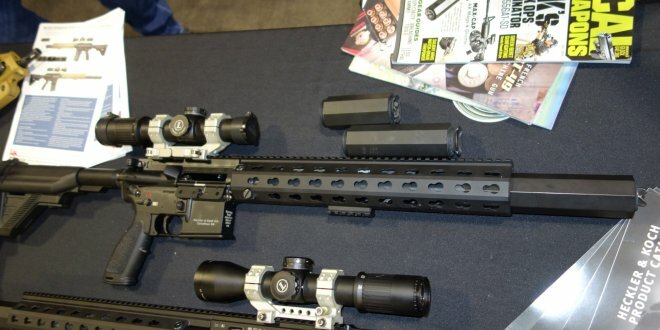 It goes without saying that Defense Review would very much like to run one of these OSS Mission suppressor systems on a FERFRANS Specialties surgical select-fire/full-auto SBR/PDW (Short Barreled Rifle/Personal Defense Weapon) or carbine at the earliest opportunity, since the FERFRANS guns will show up any design weaknesses and/or strengths very quickly…but we’ll say it anyway. 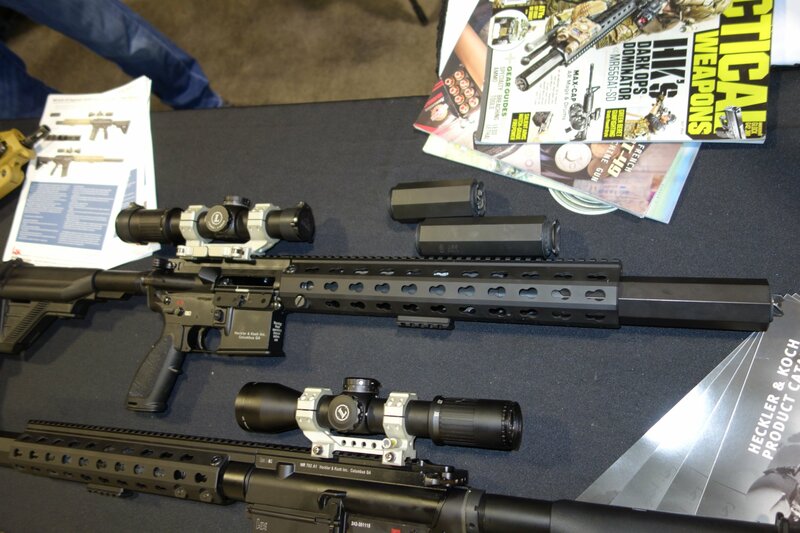 OSS claims is virtually impossible to shoot one of their suppressor systems off a gun. 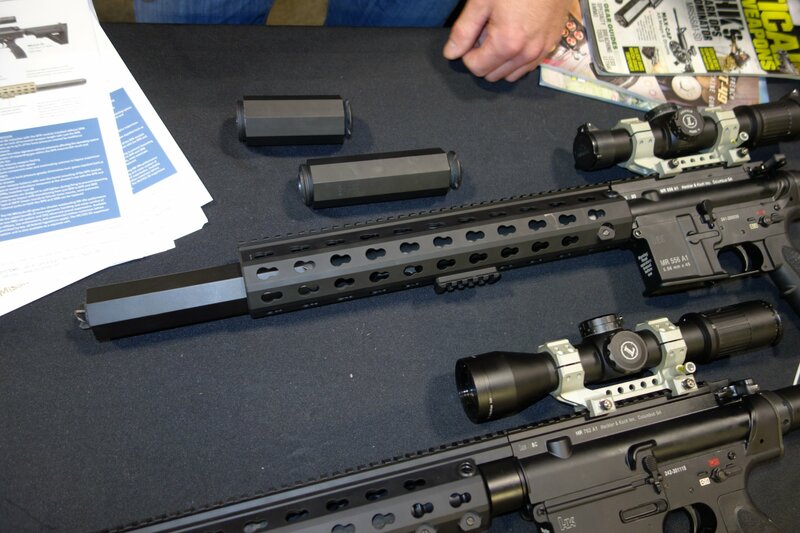 A thorough Ferfrans shoot test conducted by Falcon Operations Group (FOG) will prove (or disprove) that out, particularly if it’s tested on a FERFRANS HVLAR (High Volume Light Automatic Rifle). 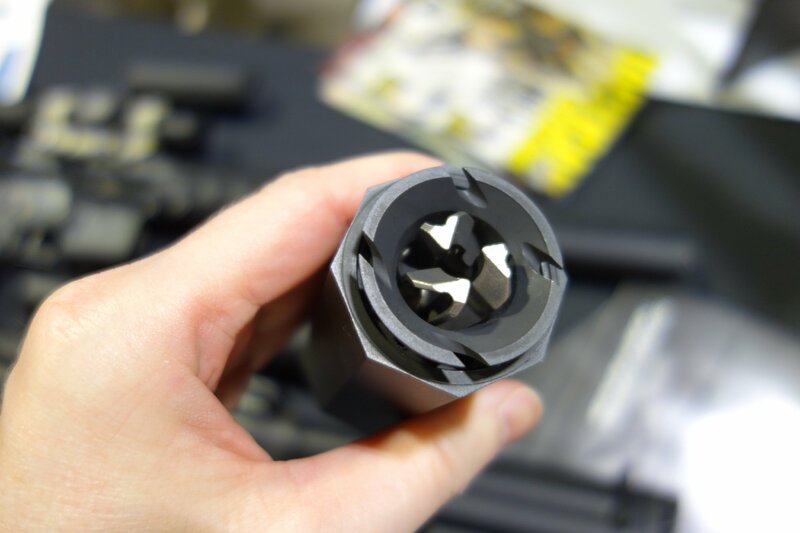 In the meantime, take a look at Guns & Tactics’ detailed overview/interview piece on the OSS hardware/tech conducted by Steve Coulston. © Copyright 2014 DefenseReview.com. All rights reserved. This material may not be published, broadcast, rewritten or redistributed without receiving permission and providing proper credit and appropriate links. If you are reading this article anywhere other than DefenseReview.com, please email us the website address/URL (where the unauthorized DR article reprint is located) at defrev (at) gmail (dot) com. Thank you.